Composed by Bruce Emery. Chord qualities and chord and scale patterns around the neck. Coil-bound book. 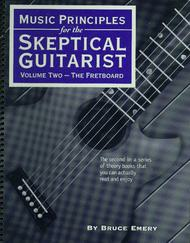 Published by Skeptical Guitarist Publications (SG.SGP-005). Chord voicings and major, minor and dominant chord qualities. The 5 chord and scale shapes and moving around the neck. Voice leading and chord substitution. 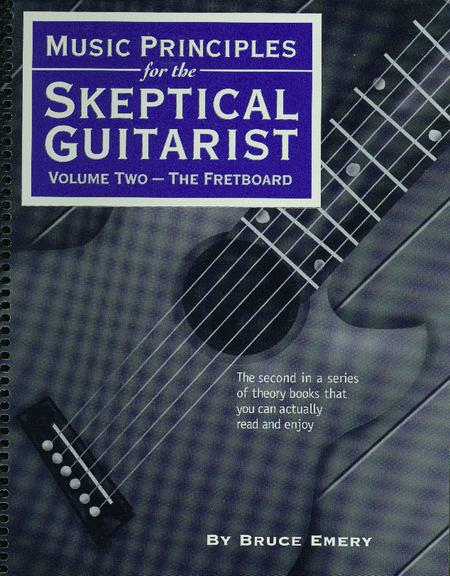 Combining them in "Frere Jacques"
come up and are simply skimmed over or completely ignored in other guitar instruction books. His books will make you laugh out loud (or at least break a smile).